PracticalMax RS23 - Buy Product on ALPINA TYRE GROUP CO.,LTD. 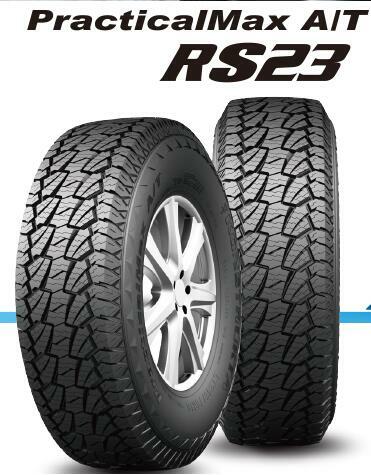 PracticalMax RS23 is specially designed for all terrain SUV. It enhances the performance of grip and sport, for on or off road use. The tiger-teeth tread blocks provide super overland performance, the cut resistance compound improves mileage much.